For many of us who are incarcerated, the ultimate dream is freedom. The question of whether we will achieve that dream, however, often lies in our pursuit of it. My name is Si Dang, and I am the new chairman of Kid CAT. Over the last 22 years, I have pursued my freedom in a variety of ways, many of them dysfunctional and leading me right back to where I started: without freedom and with no meaningful change in who I was. It was not until six years ago that I finally tapped into my courage and begin facing my personal issues, which ultimately lead me on the road towards my pursuit of freedom and the change I was after. It is now my purpose as the new leader of Kid CAT to bring that change and pursuit of freedom to all of our members and the youth, which we represent. It is my hope that I might serve Kid CAT with a spirit of accountability and change that inspires each of us to find the courage to not only pursue our most important dreams, but achieve them. In fact, it is with this spirit in mind that I would like to thank our out-going chairman, Charlie Spence, for his many years of service, leadership, and mentorship to our organization and members. It is under Charlie’s guidance that our organization has thrived and Kid CAT successfully achieved many of its goals and objectives in 2018. For example, in 2018, Kid CAT officially implemented the Power Source curriculum in its Youth Offender Program (YOP) “BE-IT.” At the same time our First-Step Childhood Development curriculum graduated over 40 individuals and has now entered into a new cycle with new participants. We also helped raised over $15,000 for Project Avary, and raised close to a $1,000 in support of The Beat Within program through our Foodsale. Additionally, in October we hosted our annual banquet to raise awareness of the “forgotten” voices of youth, highlighting youth violence and the power of restorative justice to heal. Both inside and outside guests shared their personal stories while representatives from the Huckleberry House, Project Avary, The Beat Within and long-time Kid CAT volunteer, Bev Shelby, spoke about the importance of advocacy and volunteerism within our communities and institutions. In 2018, five Kid CAT members who served life sentences paroled, two of which were commuted by the Governor. They are all now being productive members of their communities. Additionally, this past Thanksgiving, five more of our Kid CAT members had their life sentences commuted by the Governor, bringing the total to seven commutations. With the departure of our members, we invited five new faces into Kid CAT all of who are (YOP) inmates. All of who have shown tremendous potential and willingness to carry on Kid CAT’s mission of creating awareness and community service. Going into 2019, we are excited to get to work. Some of our goals include expanding our charity work with the Huckleberry House, Avary Project and The Beat Within. With our partners, we hope to bring greater awareness to the issues of homelessness, youth with incarcerated parents, and the overall challenges that youth offenders face in the juvenile justice system. Additionally, it is our organization’s goal to expand the accessibility of Kid CAT Speaks page in the San Quentin News as a platform for more youth offenders to share their voices and send messages of hope and gratitude. We also plan to increase accessibility of our Childhood Development curriculum to more incarcerated individuals in other prisons. Since making our Childhood Development curriculum available, three of our paroled Kid CAT members hosted an orientation of the curriculum at Lancaster State Prison. 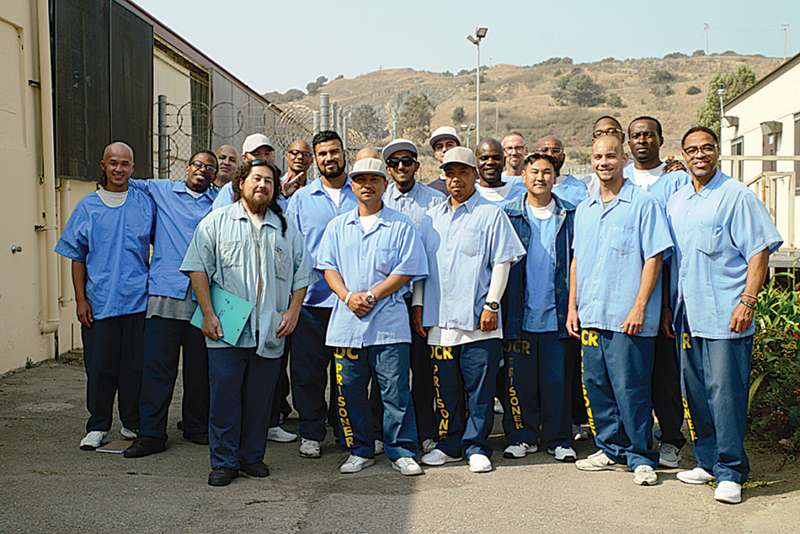 We also held a joint training with volunteers from Tracy State Prison who will be starting a Kid CAT curriculum there. It is also our goal to advocate for provisions that would allow youth offenders to earn milestone and RAC credits toward their youth offender date as opposed to their minimum eligible parole date (MEPD). Throughout the new year, our organization will be working toward becoming more transparent in our individual and collective efforts to uphold the integrity of our goals and vision. It is our objective to begin to hold each other more accountable for our actions while administering higher standards of professionalism within the organization. It is our hope that transparency and accountability will translate into a stronger group and individual commitment in supporting and advocating for all youth offenders. In closing, this year, Kid CAT would like to inspire everyone to pursue their dreams and find the courage to face the new challenges that may stand in their way. There is nothing that one cannot achieve without hard work. We encourage all of you to take advantage of new opportunities and work to create meaningful change in your lives and, in the process, make your dreams a reality.